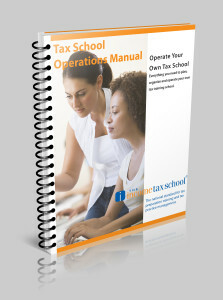 Get everything you need to operate your own tax school! Instructor Workshop, which helps instructor better understand what is offered, what their options are, teaching tips, and more. Live Classroom Instructors may print quizzes and exams, which will require manual grading; or the instructor may opt to have students complete graded assignments online with our automatic grading portal. Instructor Dashboard in our LMS (learning management system) that allows instructors with online students to view students’ progress. FREE PowerPoints are available for Instructors. 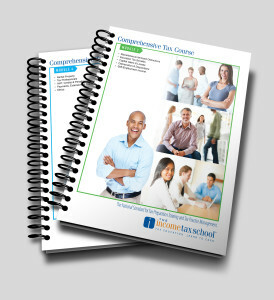 An Instructor Resource Center is available with all the information an instructor would need to operate a live or remote online class. Sign up with Constant Contact to send emails to your prospects and customers. SAVE $30 with this Link! Have Questions? Give us a call at 1.800.984.1040 or email us.